Pirkko Ahonen has 19 years of experience in evaluation studies, technical assistance, and applied research. She currently serves as the project director for the Tribal Temporary Assistance for Needy Families (TANF)-Child Welfare Coordination Data Capacity Building project. 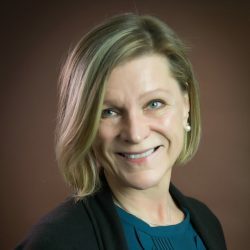 She is also the project lead for the Evaluation of the Cook Inlet Tribal Council Regional Partnership Grant and a senior research associate for the Evaluation of the Capacity Building Collaborative. At JBA, Ahonen has provided evaluation support and conducted data collection activities for a number of tribal projects. Recently, she served as the project director for the Study of Coordination of Tribal TANF and Child Welfare Services. Her experience includes projects conducted on behalf of the Administration for Children and Families, including the Children’s Bureau, Office of Family Assistance, and Office of Planning, Research and Evaluation. She has also provided support for contracts awarded by the U.S. Department of Education and an array of local and regional organizations. Ahonen received a Ph.D. in educational psychology from the University of New Mexico and an M.S. in counseling from the University of Nevada.